Welcome to Stott Contracting, LLC. Stott Contracting LLC, is a family owned and operated company, established in 2003. Our main office is in Grundy County, Morris, Illinois. Stott Contracting provides complete site civil operations, mass earthwork, underground services, foundations and demolition. Our clients include pipeline contractors, industrial operations, land developers, municipalities and residential. We are committed to bring the latest and highest level of technology to the field with our incorporation of the Trimble Global Positioning System. This in turn saves our clients time, increases production and produces an enhanced finished product. We pride ourselves on our integrity, performance and efficiency. We continue to exceed our safety expectations, excellence in workmanship, and timely completions. Stott Contracting’s systematic approach to project completion requires planning and detailed scheduling. Our skilled machine operators, qualified foreman and experience as project managers, operate our jobs safely and efficiently. 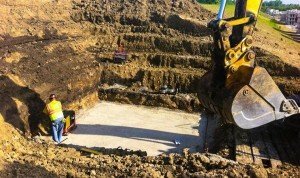 With our experienced foreman and project managers, Stott Contracting can offer you the complete site development package of earth moving, grading, underground utility installation and hauling. We offer both commercial and residential demolition. Let our expertise help your next demolition project be safely managed by Stott Contracting. Stott Contracting, LLC, through its family owned and operated transportation companies, provide heavy hauling with trucking facilities located in Morris, Illinois. Ready to move forward with your project?